Knowing the order in which arithmetical operations take place needs to be instinctive for students - starting to learn about them in upper primary school and consolidating until the age of 14. Ensuring understanding and fluency among students is vital. Yet how to keep them interested and involved when checking understanding and reinforcing? brings to the teacher - or parent - invaluable options: worked examples, questions and puzzles. 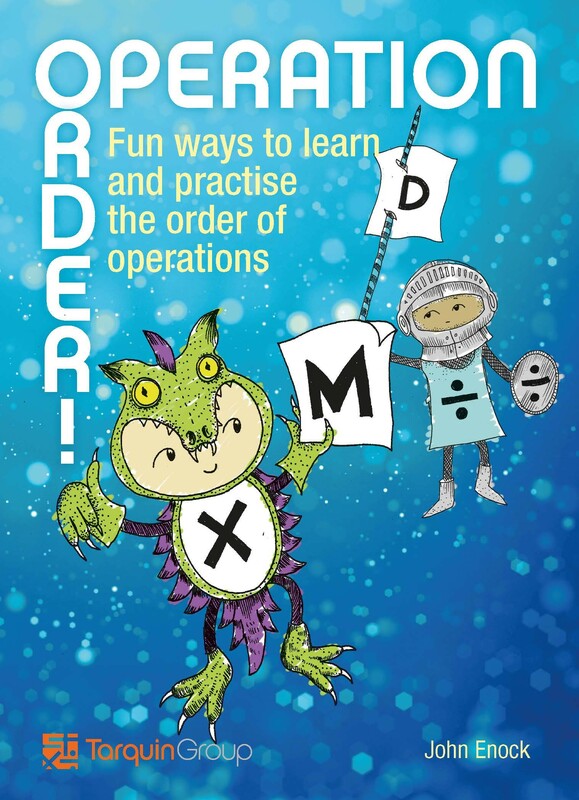 fosters an enjoyment of problem and puzzle solving involving order of operations. Download sample pages HERE (note your email is required for delivery, but not recorded unless you choose to dd it to a mailing list). John Enock, the author, is a reknowned published puzzler as well as a mathematics teacher of many years' experience. His Cryptic Cross Numbers is also published by Tarquin.